Monday is Patriot’s Day. That means, once again, a pack of Southborough runners are headed to Hopkinton. 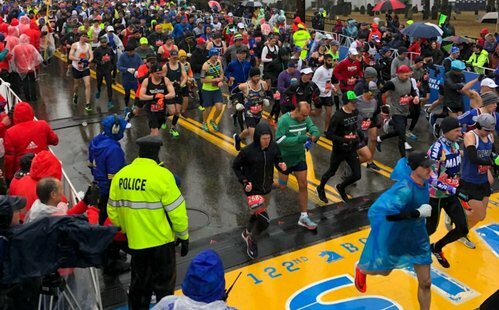 Twenty residents (8 women and 12 men) are running in the 2019 Boston Marathon. It’s New England, so the forecast is hardly set in stone for an event that’s days away. But for the second year running, predicted rain may make a certain hill particularly heartbreaking. Please join me in wishing the following residents the best on their 26.2-mile trek. Next post: Congratulations, Southborough Boston Marathon runners!